To celebrate the festival of lights, from now until 22nd October 2017, shoppers at Starhill Gallery will be welcomed by a beautiful and vibrant Rangoli Kolam surrounded by colourful garlands, promising shoppers a cultural treat as they shop at Starhill Gallery this festive season. The traditional rice flour kolam uses simpler designs while the rice grain kolam or better known as the Rangoli kolam, is more elaborated with brighter hues, to create a more interesting design. Also the Rangoli kolam of a peacock was embellished with colourful feathers to symbolise happiness, peace and fortune too. 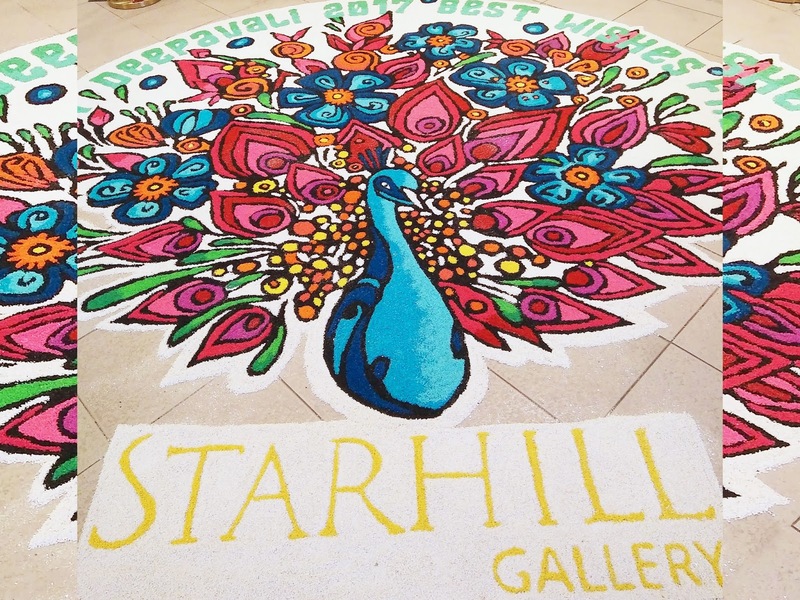 You can find this beautiful Rangoli Kolam at the Adorn floor in Starhill Gallery.